Two years ago in May 2011 (doesn't time fly!) 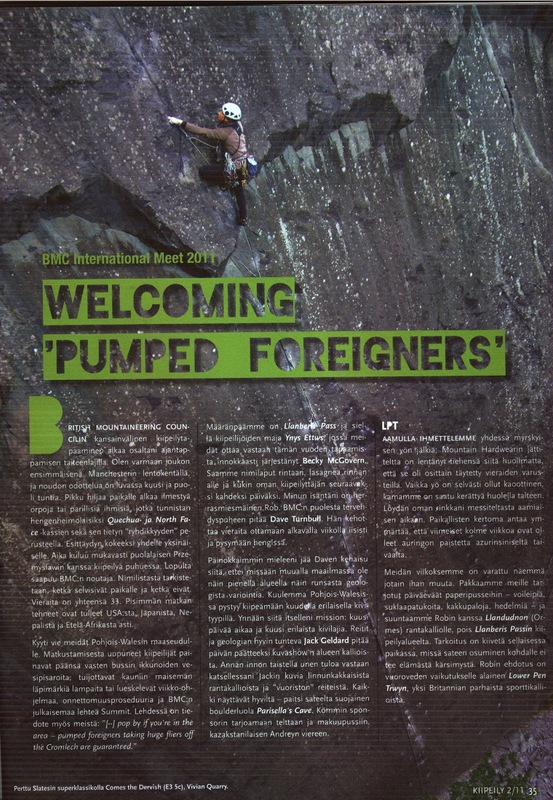 I was one of the UK hosts on the BMC International Meet in Llanberis. See the blog post I wrote at the time. One of the international guests who I had the enjoyment of showing around North Wales inbetween the rain showers was Perttu Ollila from Finland. 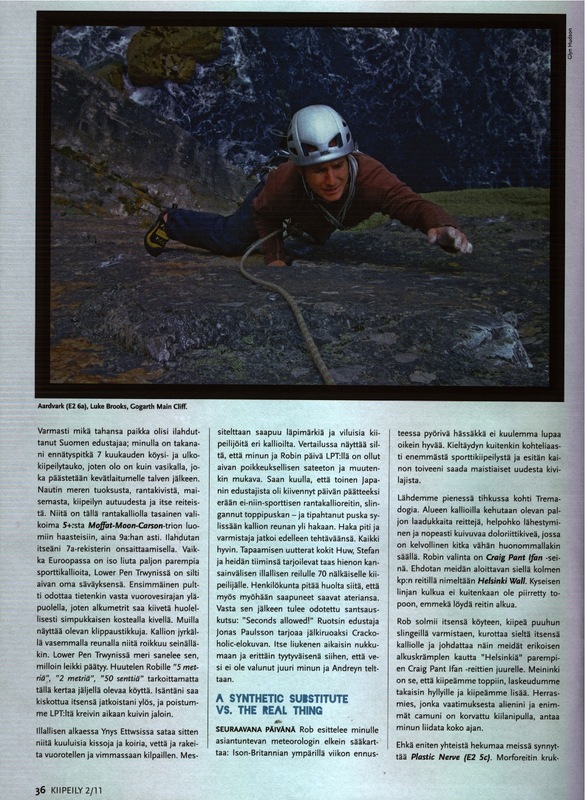 After the meet Perttu wrote a nice article on his trip to North Wales for a Finnish climbing magazine using the photos I took. 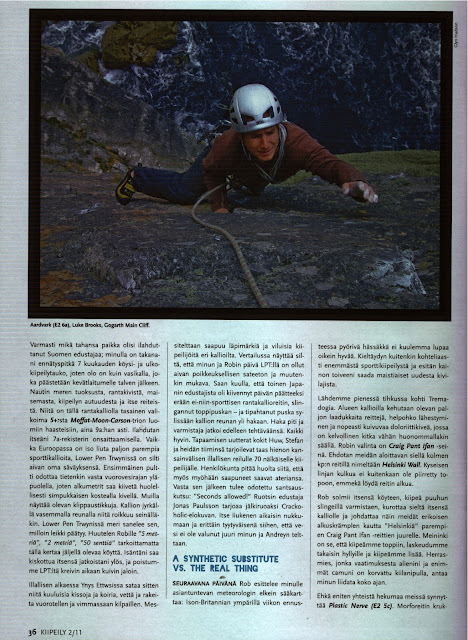 He sent me a copy of the magazine, I re-discovered it while shifting through paper work while moving here. 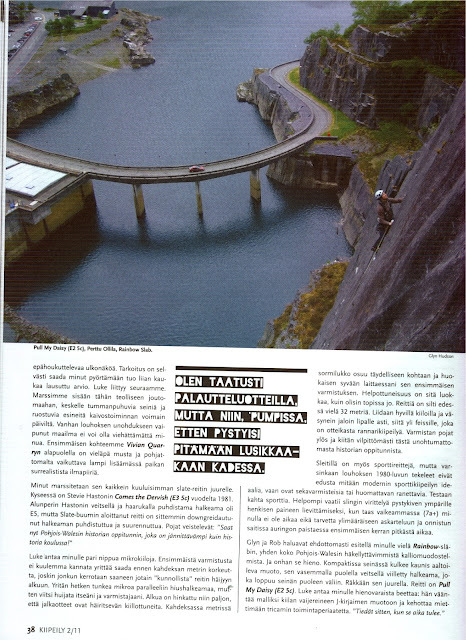 I thought the article was worth scanning in, even if you can't understand Finnish it's got some nice photos...even though I say so myself!